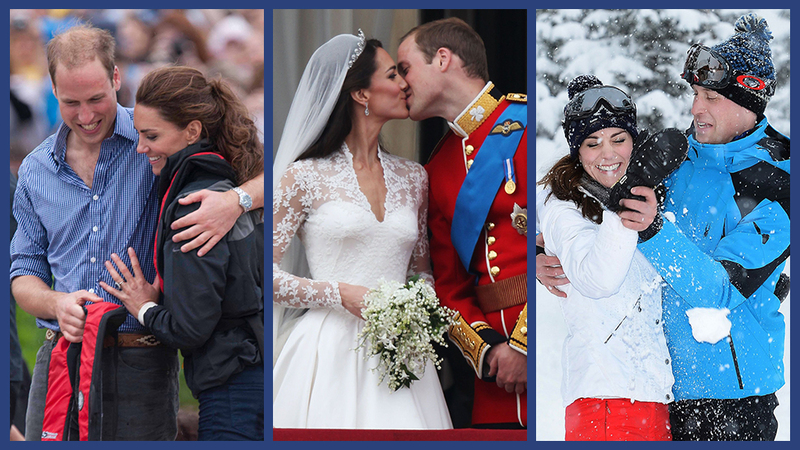 The monarch has quite the sense of humor. 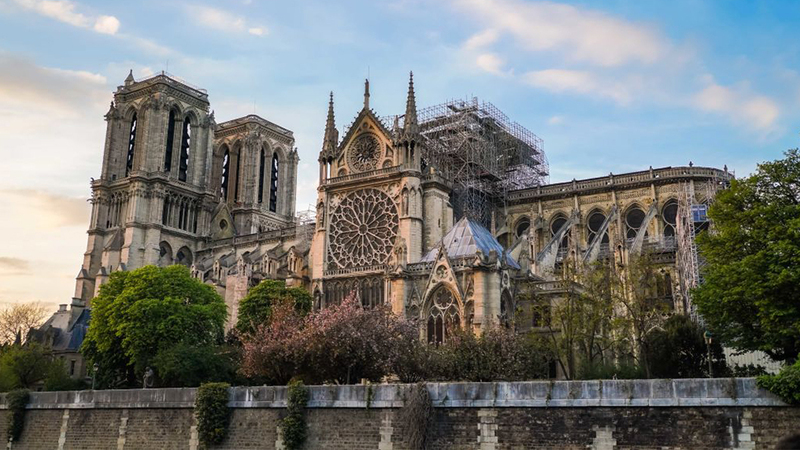 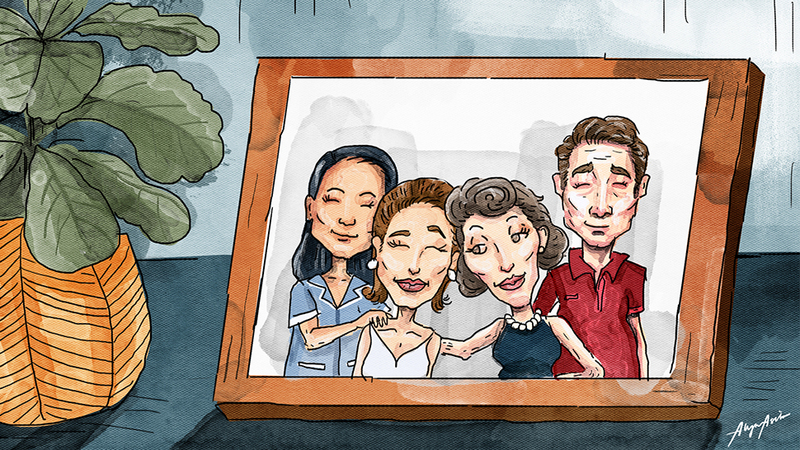 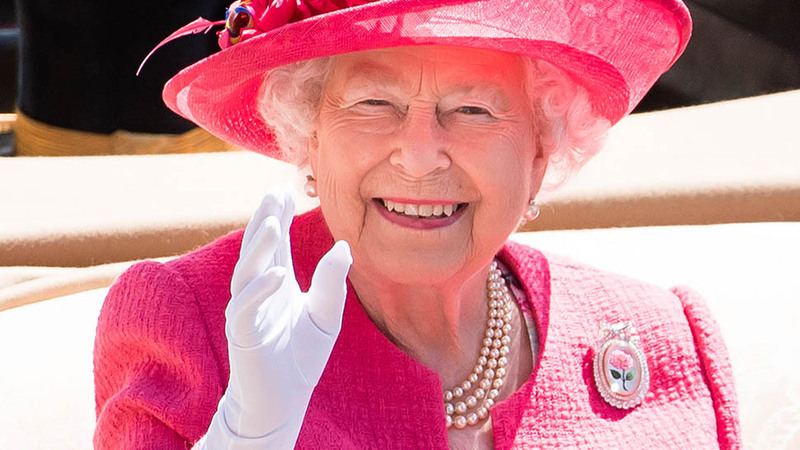 Queen Elizabeth is the reigning monarch of 53 Commonwealth countries, a doting great-grandmother to seven, and, according to this in-depth investigation, totally hilarious. 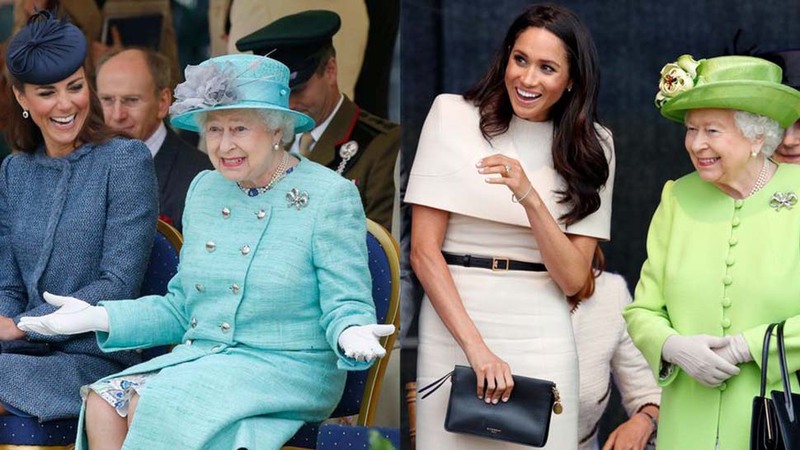 We rounded up Queen Elizabeth's funniest moments here, featuring the monarch laughing out loud with her husband, Prince Philip, to cracking up with her new granddaughter-in-law, Meghan Markle. 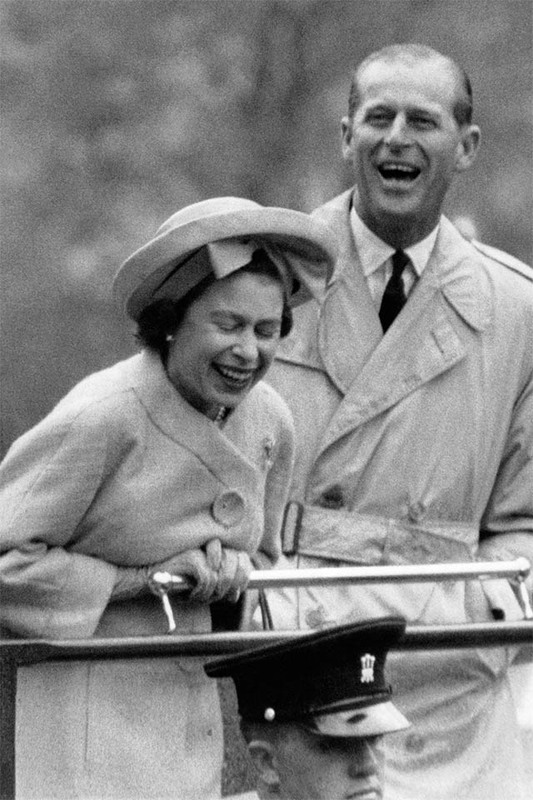 The Queen laughs with Prince Philip on May 11, 1963. 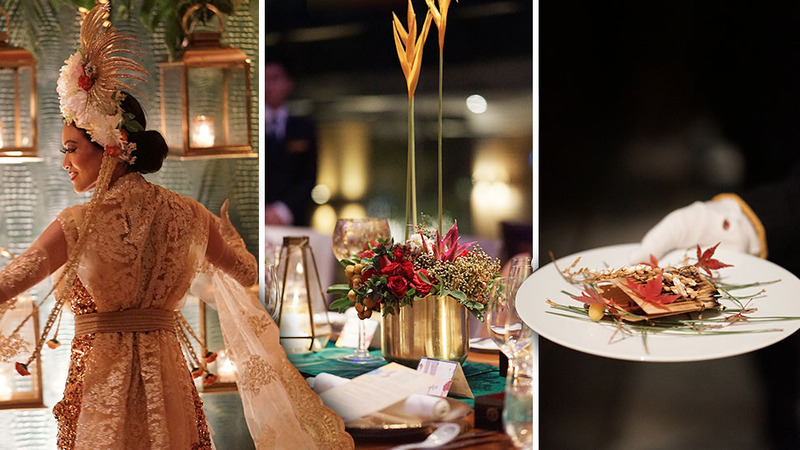 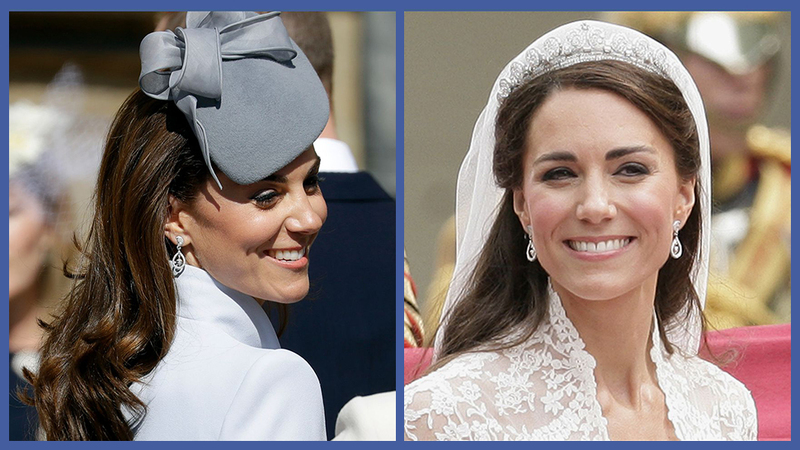 Take a look back at the royal couple's sweet wedding day here. 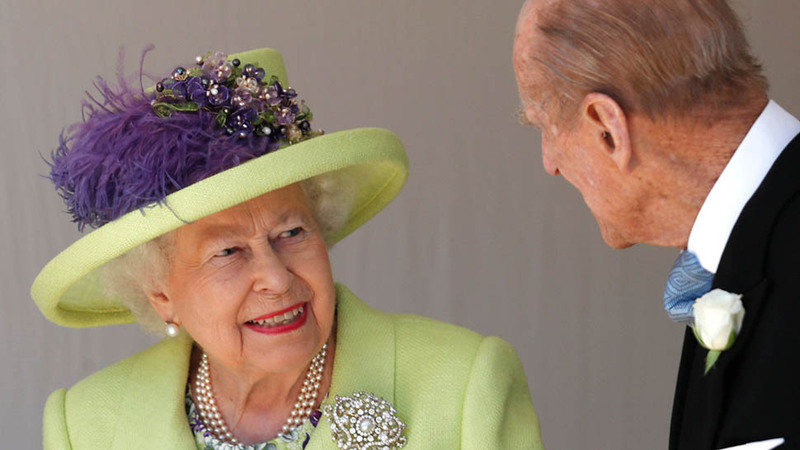 The Queen and Prince Philip share a laugh while at the Longchamp racecourse during a five-day official visit to France. 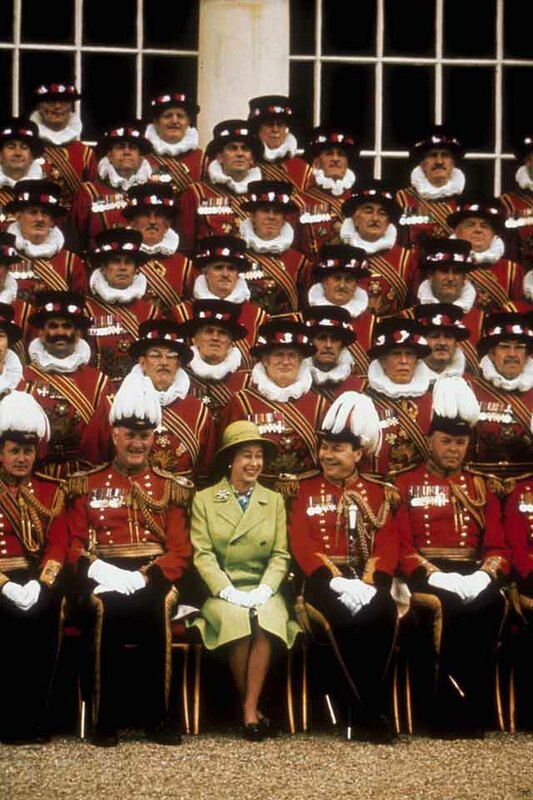 Queen Elizabeth laughs while posting for a group photo with the Yeomen of the Guard, the monarch's official bodyguards, at Buckingham Palace. 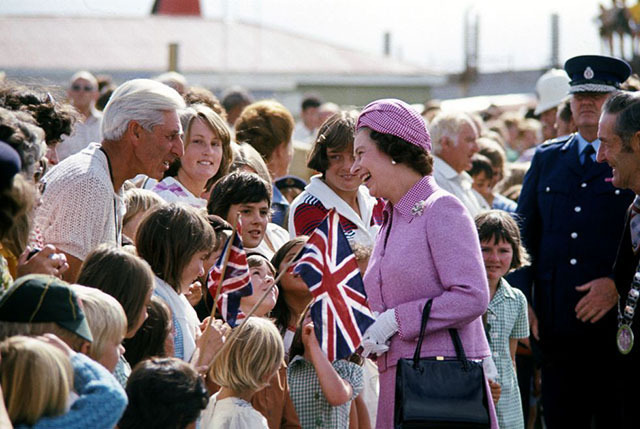 Queen Elizabeth laughs as she greets a member of the crowd during a royal walkabout in New Zealand. 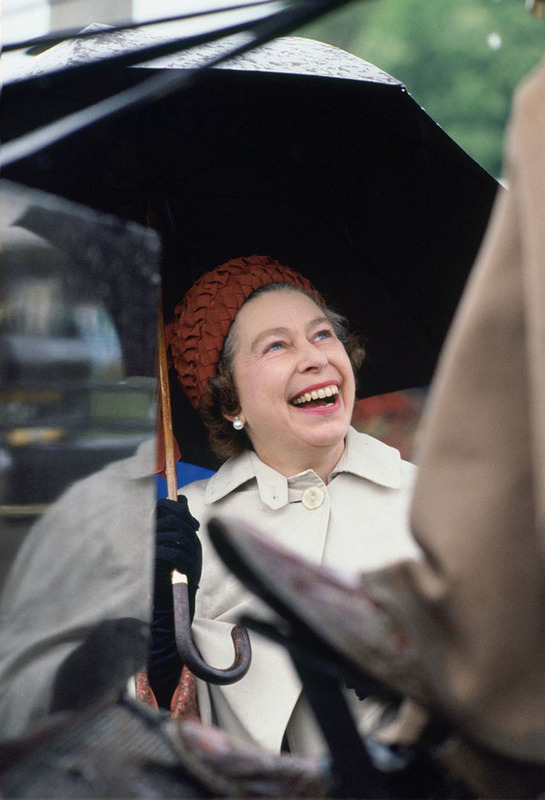 The Queen laughs after getting caught in the rain during the Royal Windsor Horse Show. 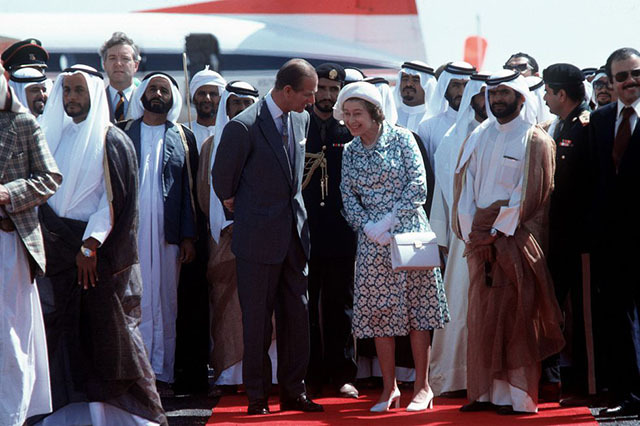 The Queen and Prince Philip share a sweet laugh as they arrive in Abu Dhabi during a royal tour. 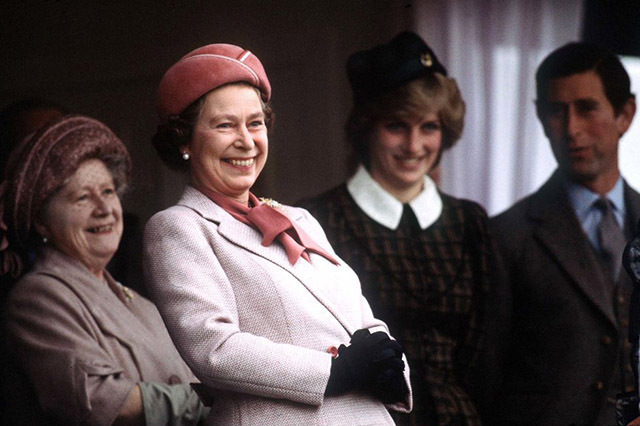 The Queen shares a laugh with the Queen Mother, Princess Diana, and Prince Charles while on holiday in Scotland. 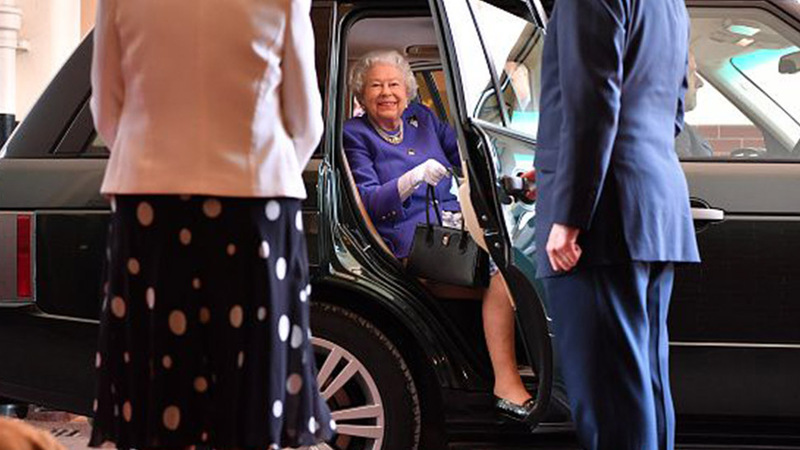 The Queen is all smiles as she arrived at a banquet while on a royal visit to China. 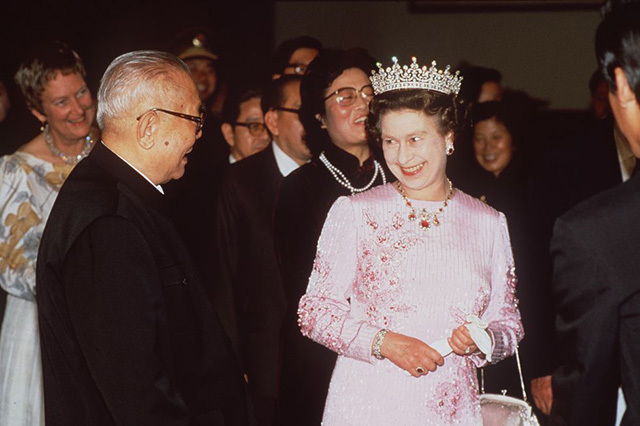 In this photo, she's laughing with former Chinese President Li Xiannian. 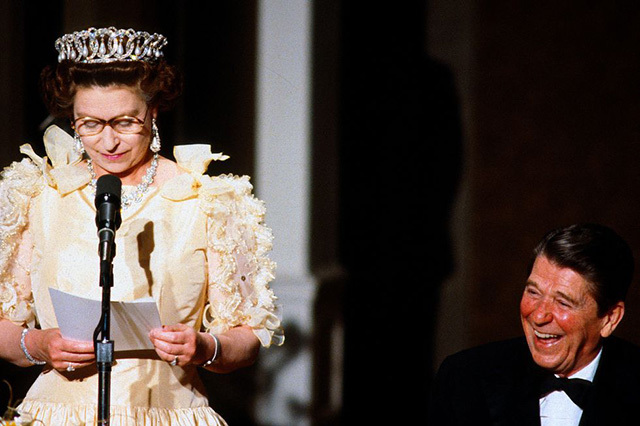 President Ronald Reagan laughs as Queen Elizabeth makes a speech during a banquet on March 3, 1993. 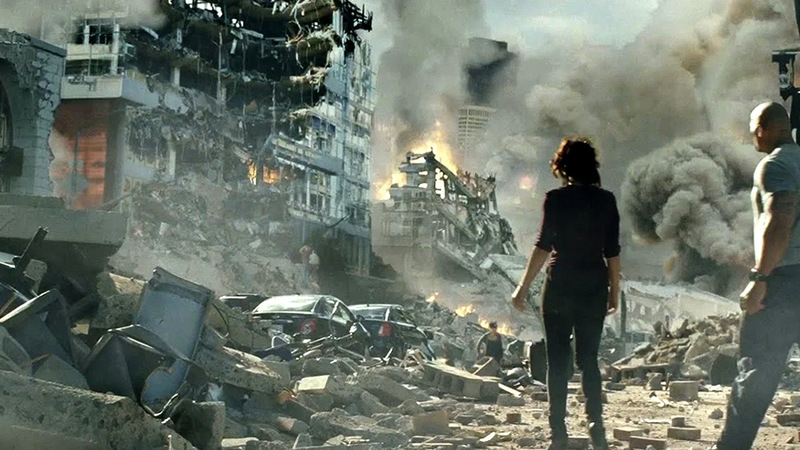 The Queen was on a royal visit to San Francisco at the time. 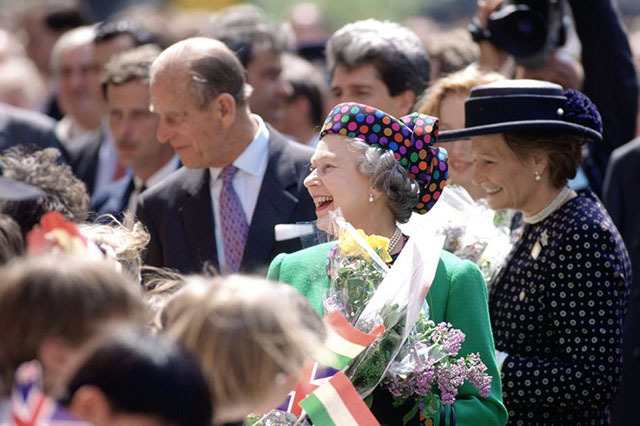 The Queen laughs while meeting the crowd during a royal tour in Hungary. 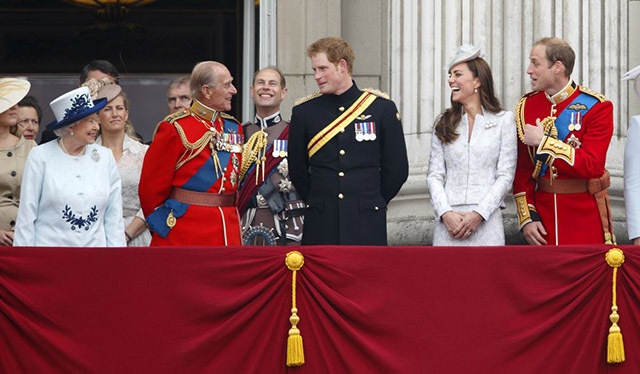 Prince Philip followed closely behind, also interacting with well-wishers in the crowd. 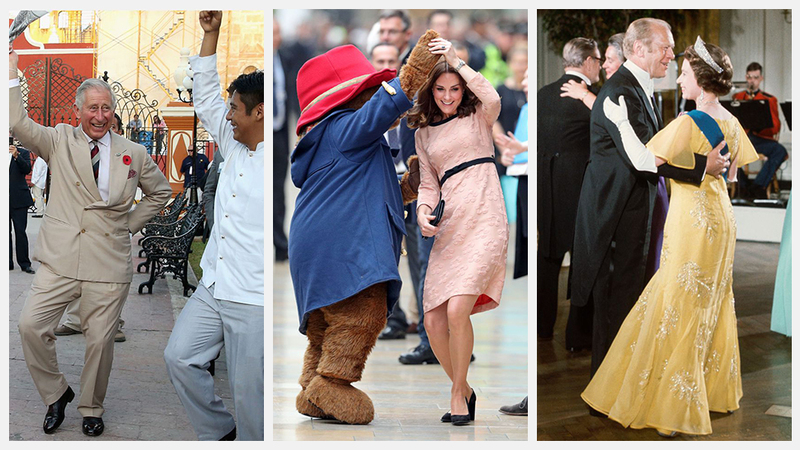 Queen Elizabeth and Prince Philip chuckle while watching a dance presentation during a visit to South Africa. 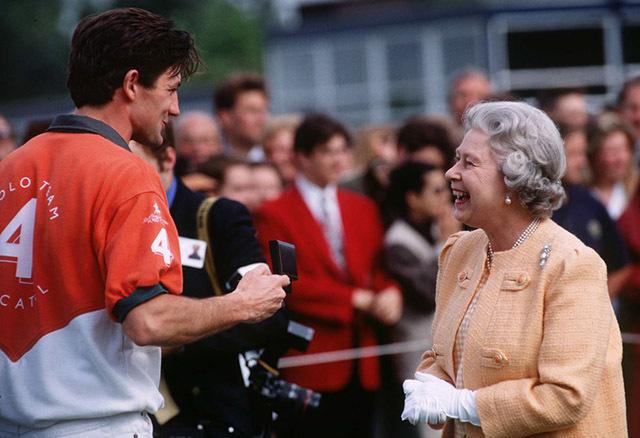 Queen Elizabeth is all smiles as she presents a prize during the Queen's Cup Polo in Windsor Castle. 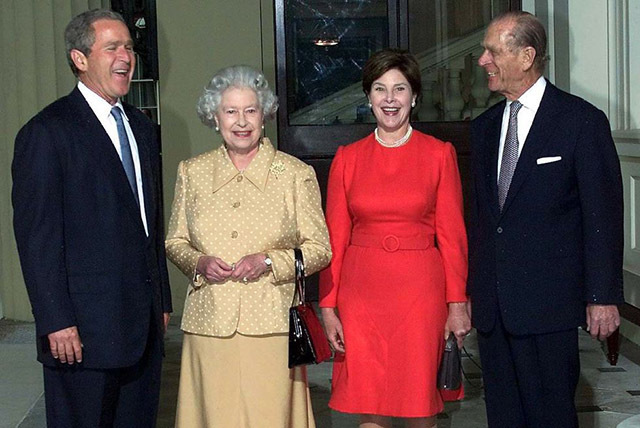 The Queen laughs while meeting President George W. Bush and Laura Bush during a visit at Buckingham Palace in London. 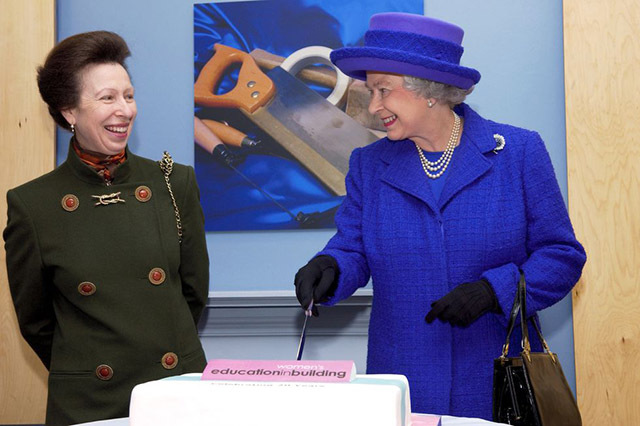 The Queen and her only daughter, Princess Anne, share a laugh while cutting a cake on International Women's Day. 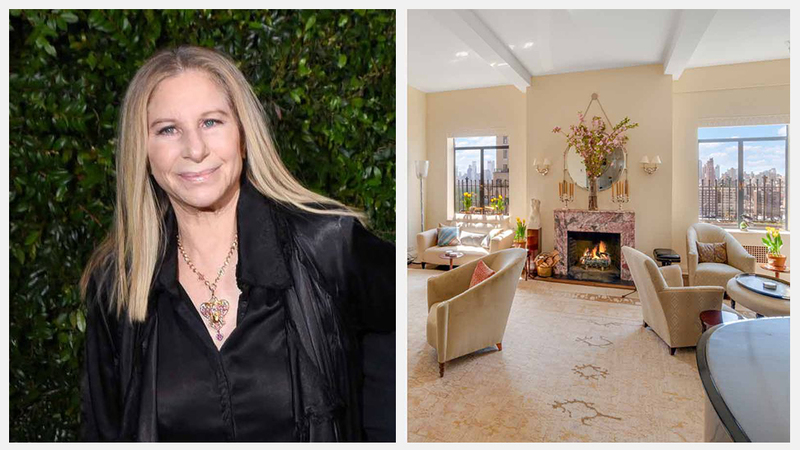 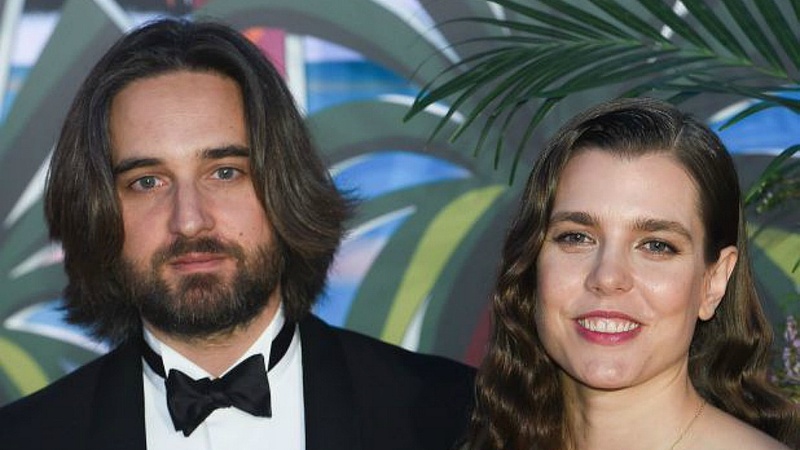 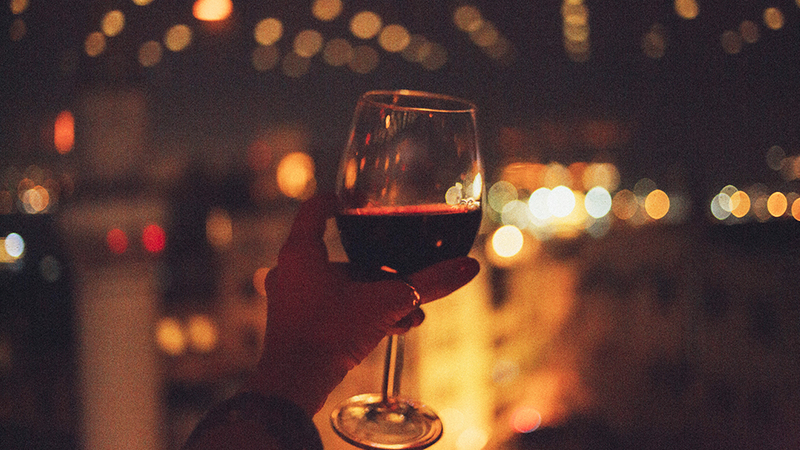 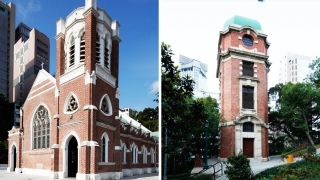 The duo were celebrating at the Offices Of Women's Education in Building. 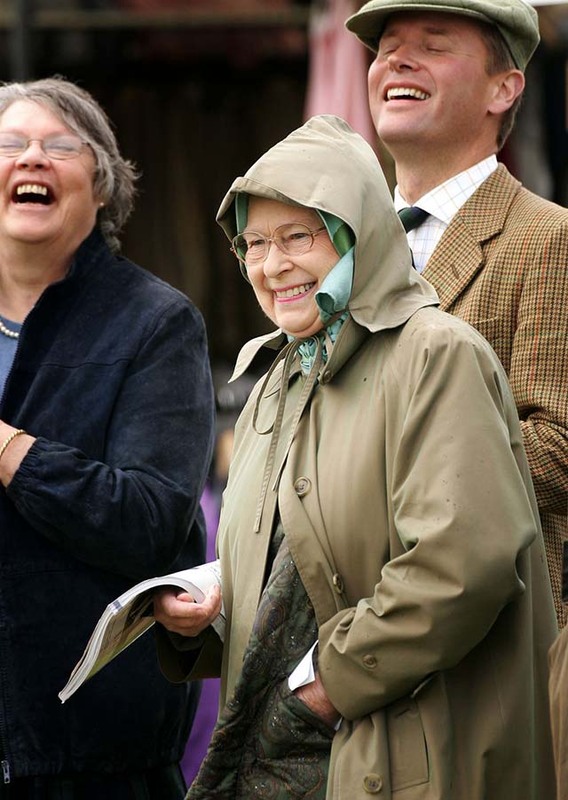 Lifelong horse lover Queen Elizabeth cracks up at the Royal Windsor Horse Show. 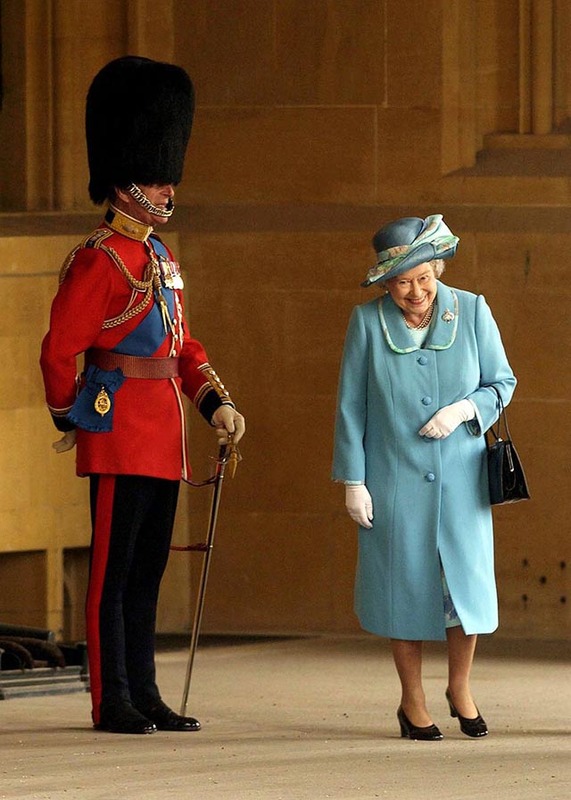 Queen Elizabeth giggles as she walks past Prince Philip, who is dressed in uniform complete with a hat at Buckingham Palace. 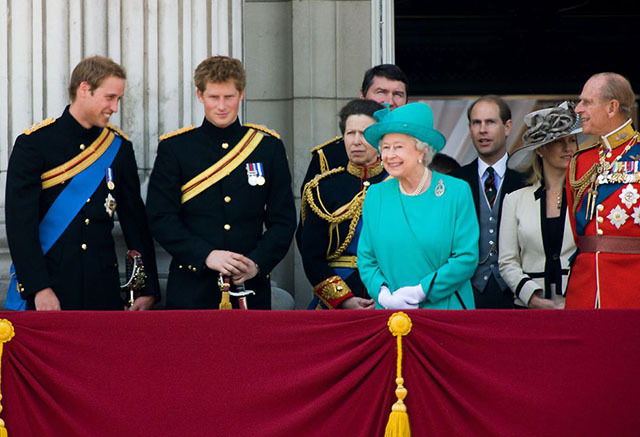 The Queen cracked up Prince Philip, Prince Andrew, Prince Edward, and Prince Harry while on the Buckingham Palace balcony on National Commemoration Day in London. 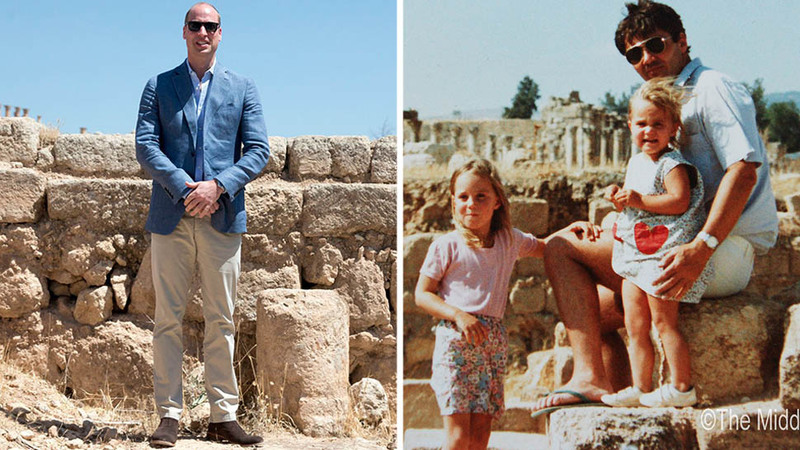 The royals were watching a royal flypast over the Palace. 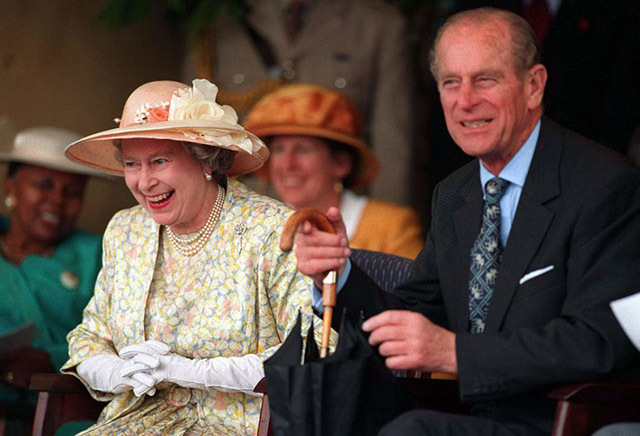 The Queen shares a laugh with Prince Charles in Scotland on September 2, 2006. 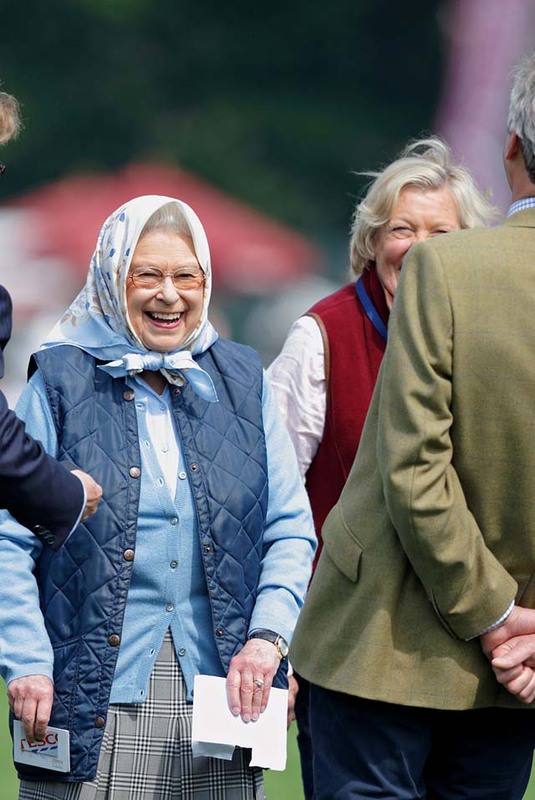 The Queen was all smiles as the attended the Royal Windsor Horse Show in Windsor, England. 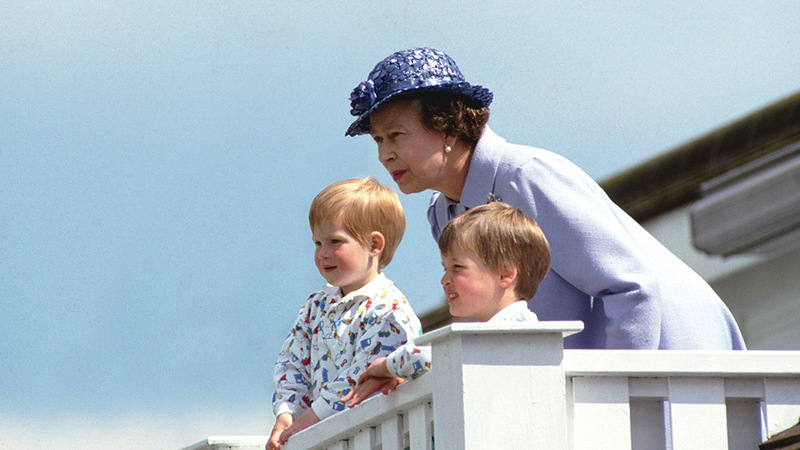 The Queen shares a giggle with her grandsons, Prince William and Prince Harry, while on the Buckingham Palace Balcony during Trooping the Colour. 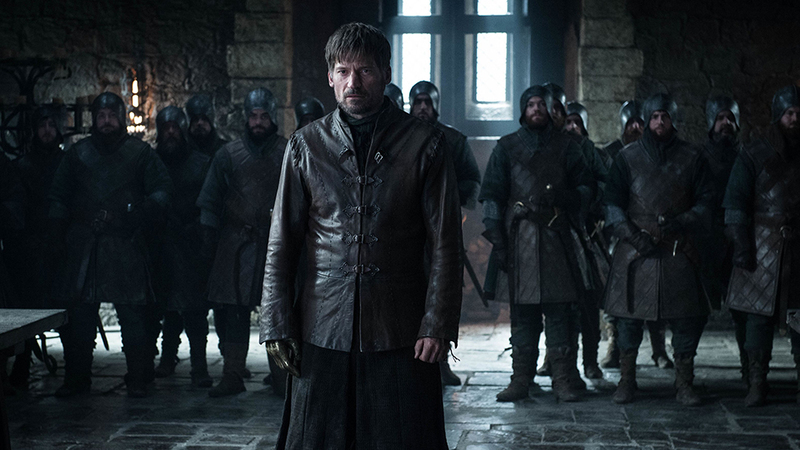 The Queen finds yet another captive audience: officers of the Royal Scots Dragoon Guards. 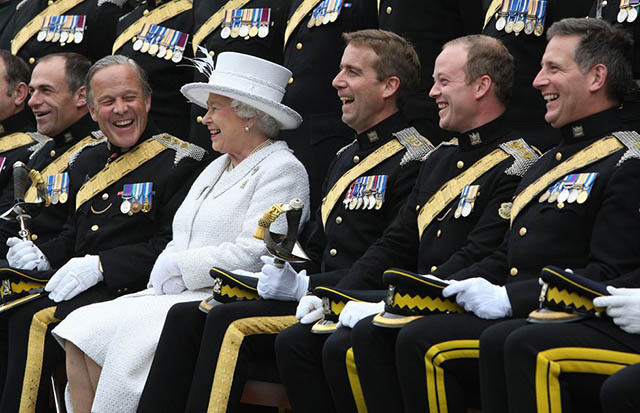 The Queen and uniformed officers were laughing and smiling for a group photo. 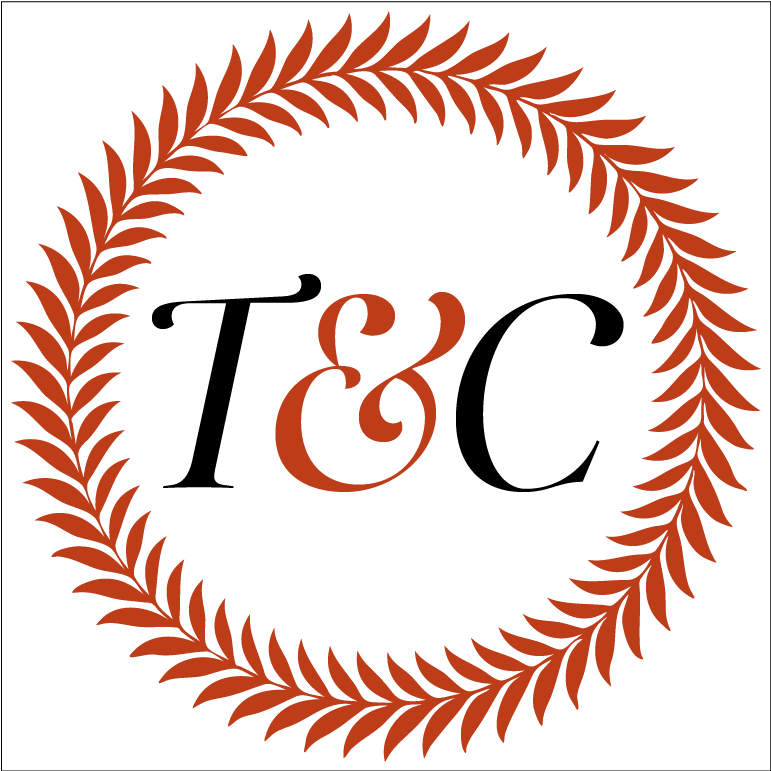 The Queen and Prince William both giggled as they watched a flypast above the balcony of Buckingham Palace during the annual Trooping the Colour celebration, which marks Queen Elizabeth's birthday. 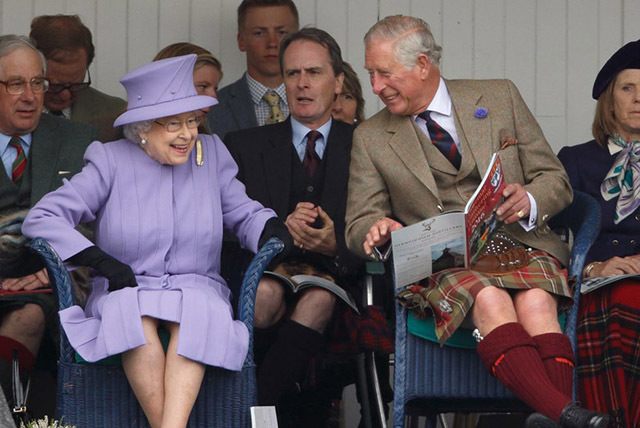 The Queen and Prince Charles laugh on the sidelines while watching a tug-of-war contest during the Braemar Highland Games in Scotland. 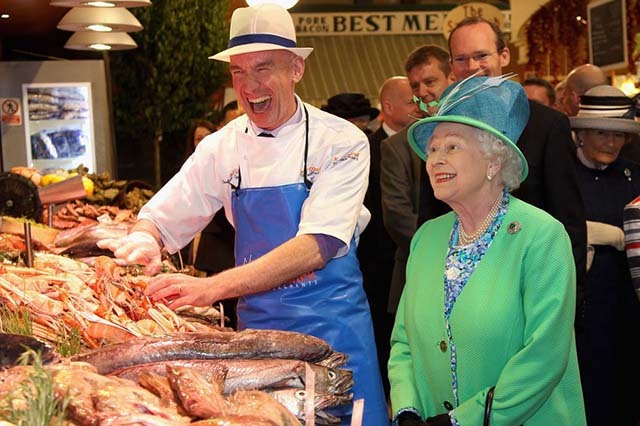 The Queen and her companion laugh while the royal visited a local market in Cork, Ireland. 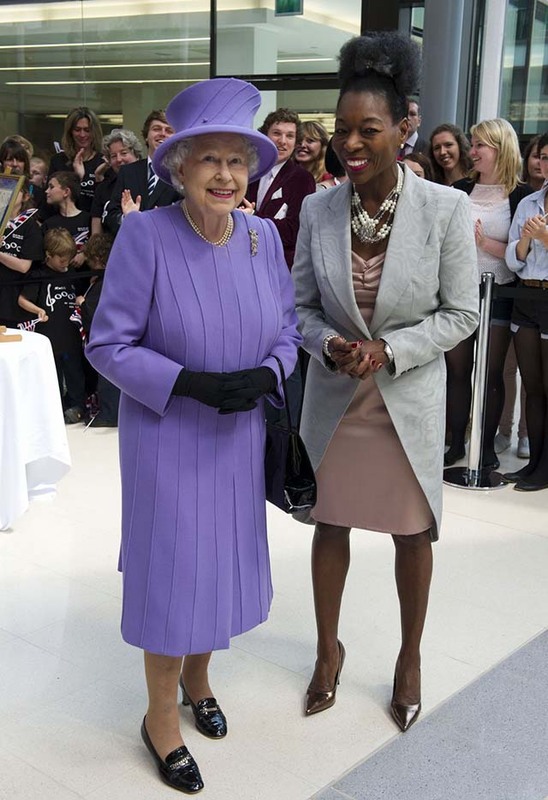 The Queen visited Exeter University and shared a laugh with Exeter's chancellor, Floella Benjamin. 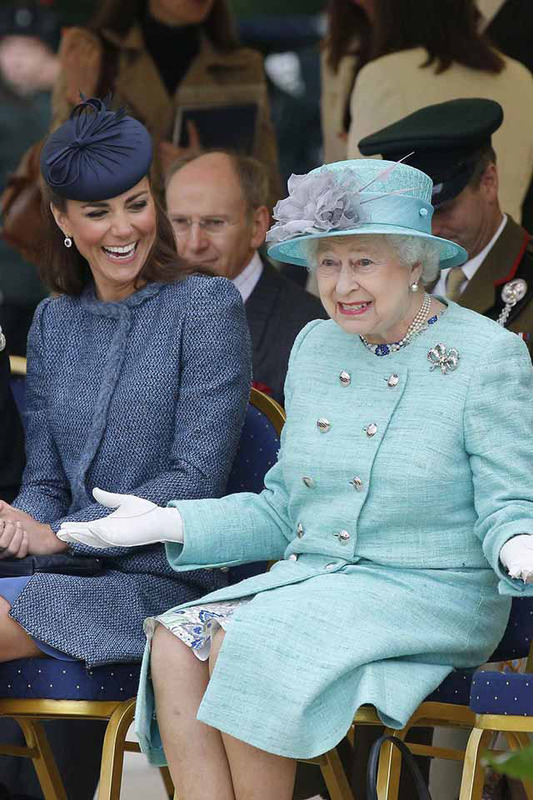 The Queen laughs with her granddaughter-in-law! 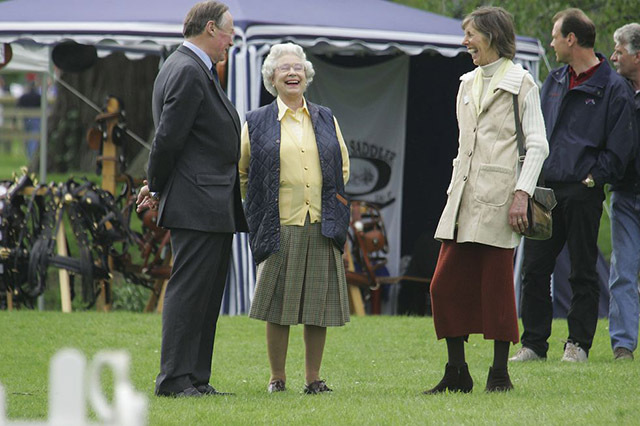 The monarch and Duchess Katecan't help but chuckle while watching a children's sporting event during a visit to Vernon Park in Nottingham, England. 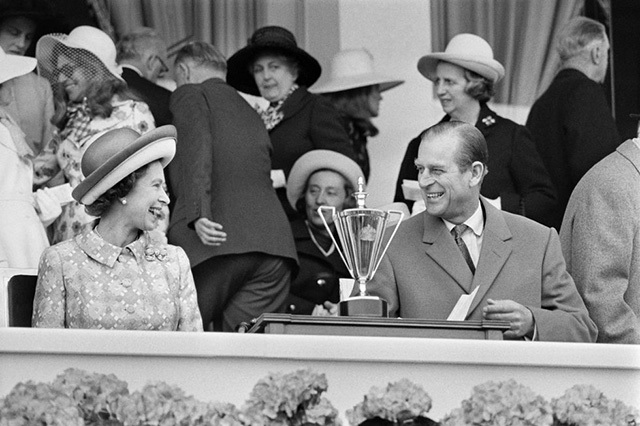 The Queen laughs after her horse 'Estimate' won the Queen's Vase horse race during the Royal Ascot. 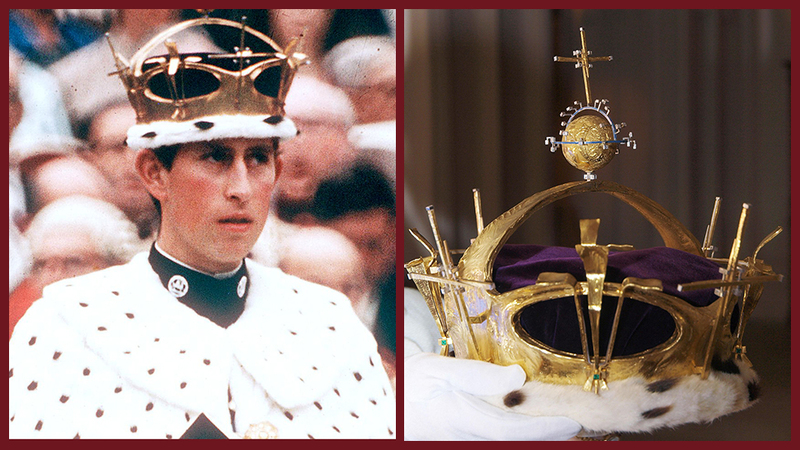 In the past 30 years, Queen Elizabeth's horses have won over 450 races. 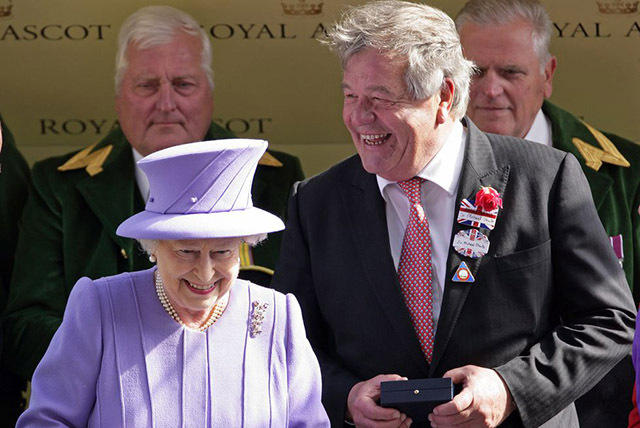 Queen Elizabeth attends the King George Day racing meet in Ascot, England, where she was photographed laughing with John Warren, the Queen's racing manager, and horse trainer Sir Michael Stoute. 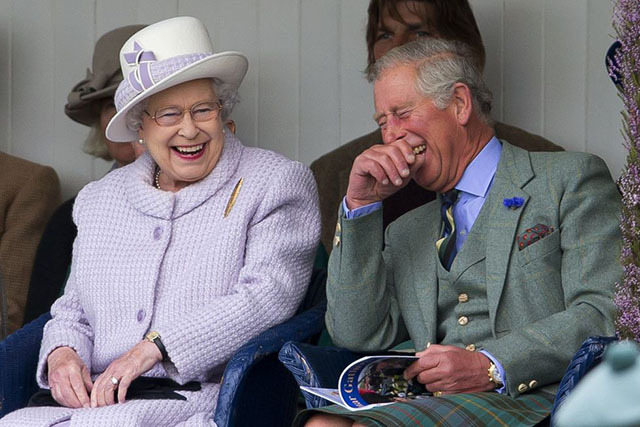 The Queen and Prince Charles can't stop laughing! 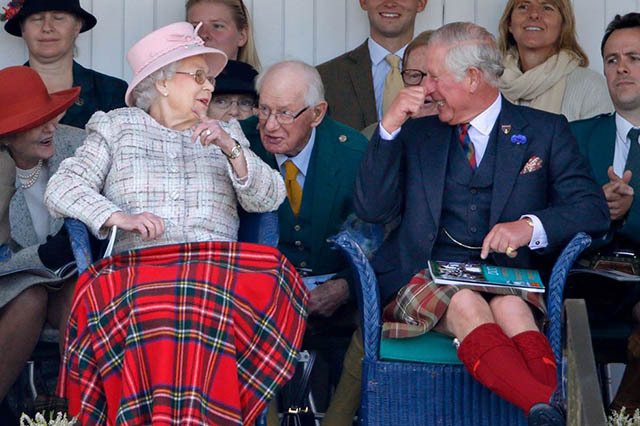 The royal duo crack up on the sidelines at the Braemar Highland Gathering in Scotland. 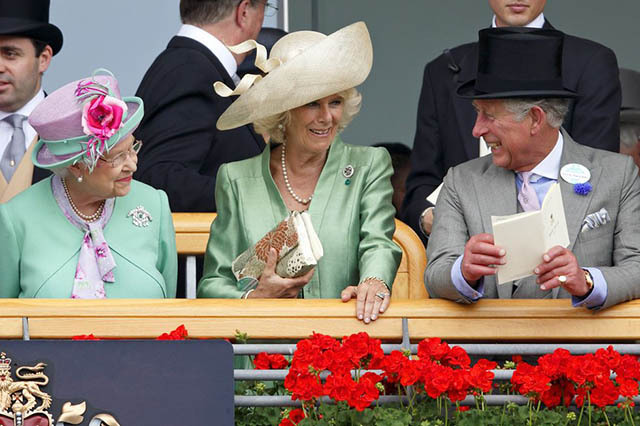 Queen Elizabeth makes Prince Charles and Camilla, Duchess of Cornwall laugh while at Royal Ascot in 2013. The annual horse race is one of the Queen's favorite events of the year. 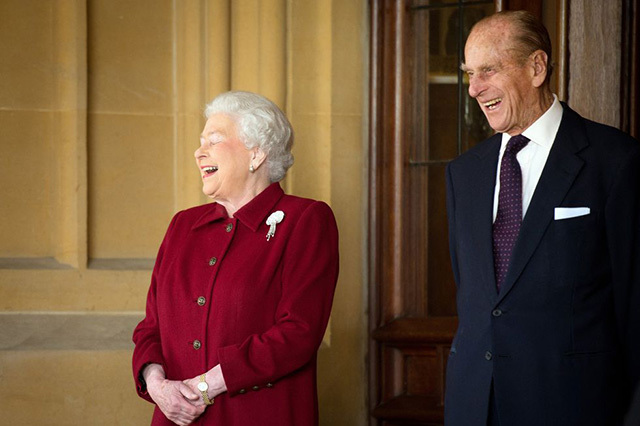 The Queen and Prince Philip sweetly share a laugh as Irish President Michael D. Higgins departs Windsor Castle after making his first state visit. 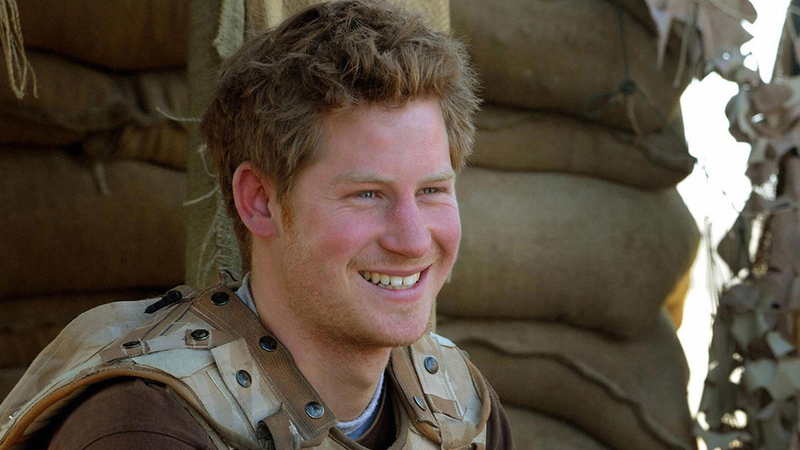 All smiles for Trooping the Colour! 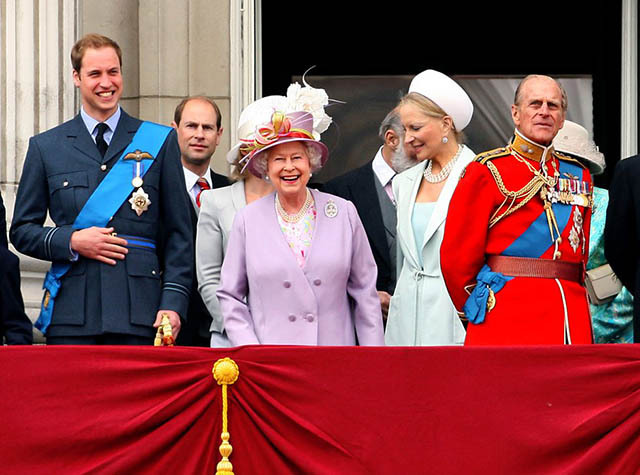 The Queen laughs with Prince Philip, Prince Edward, Prince Harry, Duchess Kate, and Prince William while on the Buckingham Palace balcony during the Queen's birthday celebration. 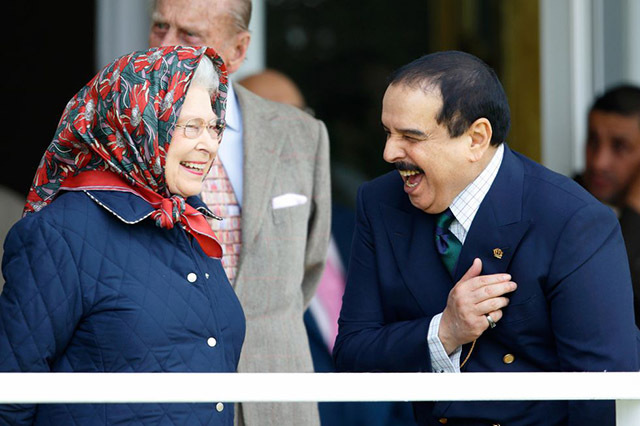 The Queen and Hamad bin Isa Al-Khalifa, King of Bahrain could not stop laughing at the Royal Windsor Horse Show. 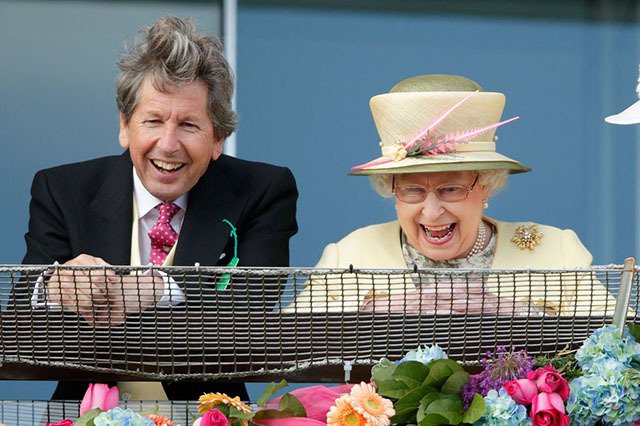 Queen Elizabeth giggled from the royal box while attending Derby Day during the Investec Derby Festival at Epsom Racecourse in Epsom, England. 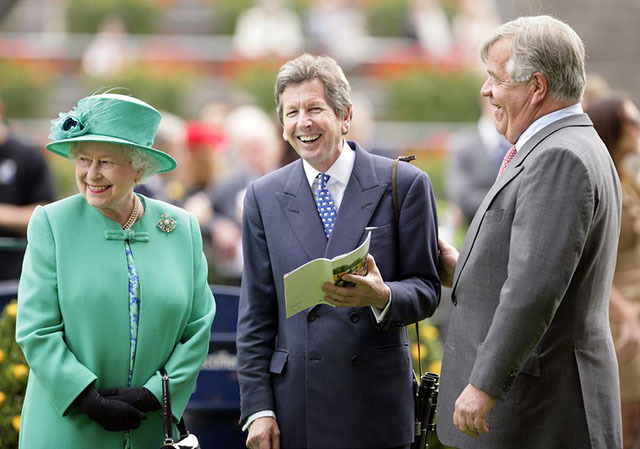 The Queen was laughing with her racing manager, John Warren. 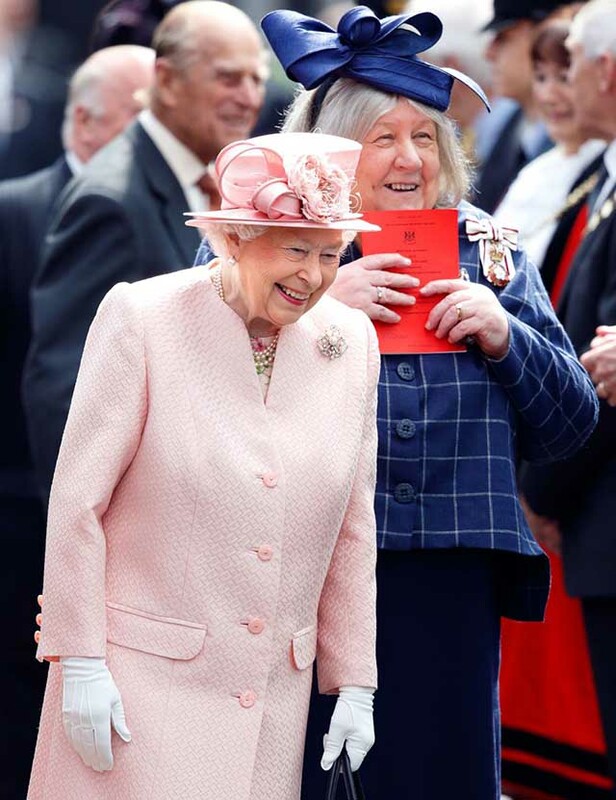 The Queen accepts a prize at the Royal Windsor Horse Show with a laugh on May 12, 2016. 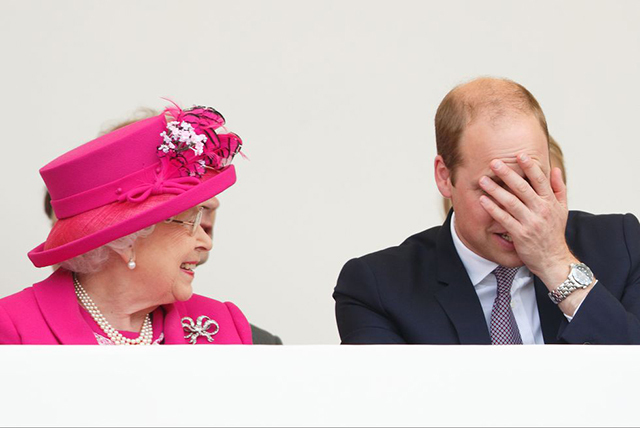 Prince William couldn't contain his laughter while sitting with the Queen at a parade celebration for the monarch's 90th birthday. 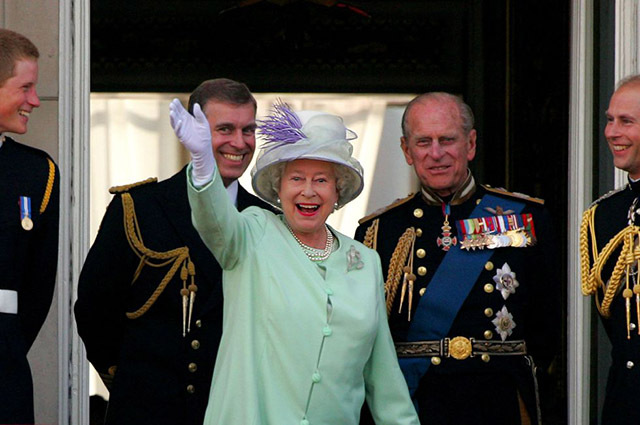 Queen Elizabeth giggled upon arrival at the Liverpool train station. 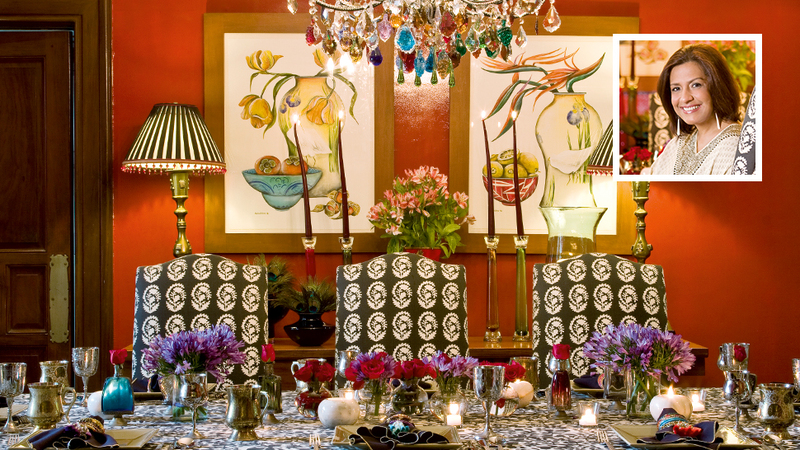 The monarch traveled to the royal visit on the Royal Train. 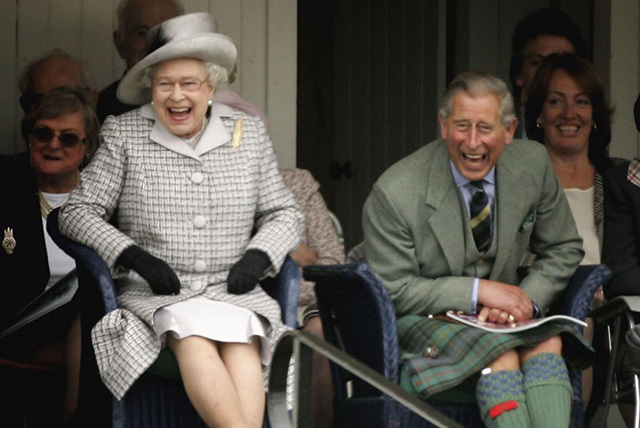 Prince Charles and the Queen laugh while attending the annual the Braemar Highland Gathering in Scotland. 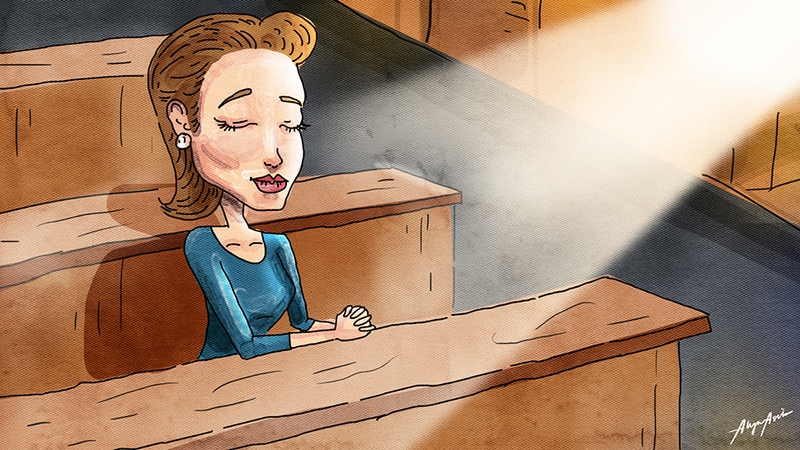 Another laugh-filled appearance in Scotland! 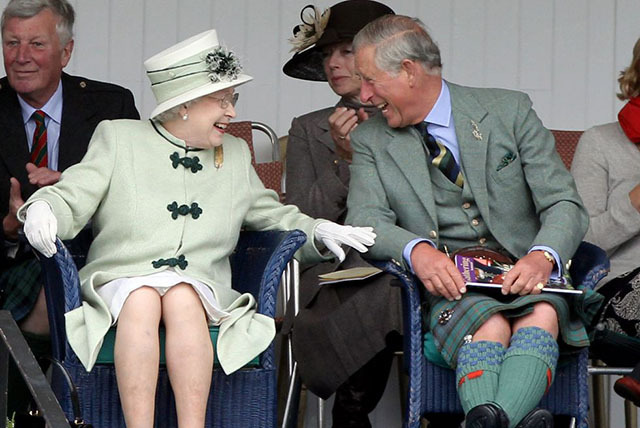 Queen Elizabeth and Prince Charles laugh on the sidelines at the Braemar Gathering in Scotland on September 2, 2017. 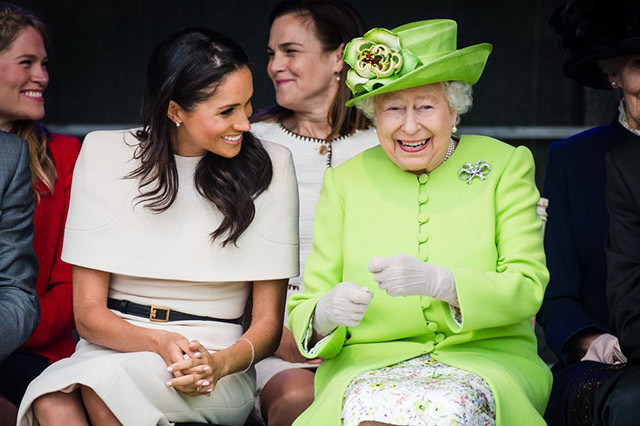 The Queen and the newest addition to the royal family, Meghan Markle, share a laugh while in Cheshire. 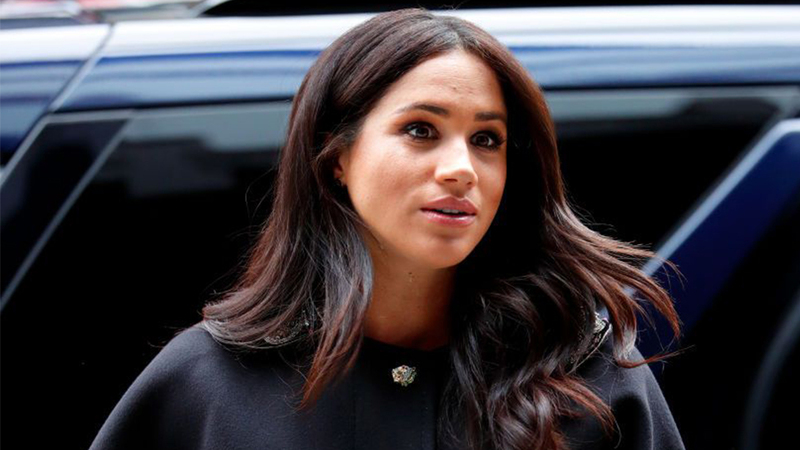 This marked Meghan's first solo engagement with the monarch since marrying Prince Harry in May 2018.